Personal branding on a torn piece of paper. Photo courtesy of Shutterstock. 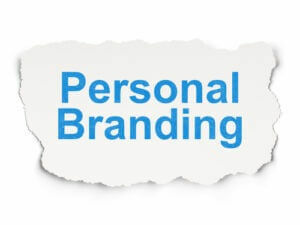 Personal branding is your reputation. It is the name you build for yourself. And please know—you do have a brand. Whatever you have done consistently over time has become your brand. Or you may have met people only once, and they now see you as being a certain way. They branded you, and you may not have realized it. Congratulations! You landed the job interview. What now? Research. One of the top three deal breakers recruiters and hiring managers have identified is whether the candidate has taken the time to learn about the hiring company. Using the excuse that you’re “just” out of college and new to the job search doesn’t work. To learn more about a company, do an Internet search and review the news coverage, as well as the company’s public Web site (including annual reports and the About Us section, as applicable). You can also ask your friends and colleagues what they know about the company. Adjust your attitude. Another deal breaker is not having a good attitude. Some employers have even said this is more important to them than the skill level of the individual. They are willing to invest in training if the candidate’s attitude is stellar and a good fit for the company. Always smile, no matter how you feel. Practice answering your interview questions in front of a mirror and check to see if you have a relaxed, approachable (and smiling) visage. Also, avoid using the interview as a platform for voicing your displeasure over your last job, boss, unsatisfactory school project, and so forth. No matter what the truth is, always formulate your answers to be positive and forward-looking. The past is just that. Learn from it and move on. Create value. Employers prefer that you have the basic required skill set to do the job. To differentiate yourself from all the others who have the required skill set, demonstrate how you can help the company differentiate itself. When you talk about your skills and experience, do it in the manner that demonstrates how what you have done has added value to your past employer or how your unique problem-solving approach has been beneficial in adding value to an internship. Use quantifiable information, discuss efficiencies you’ve introduced and revenue or savings you’ve generated, if at all possible. Simply reiterating your skills in job-description fashion only proves you met the basic job requirements.